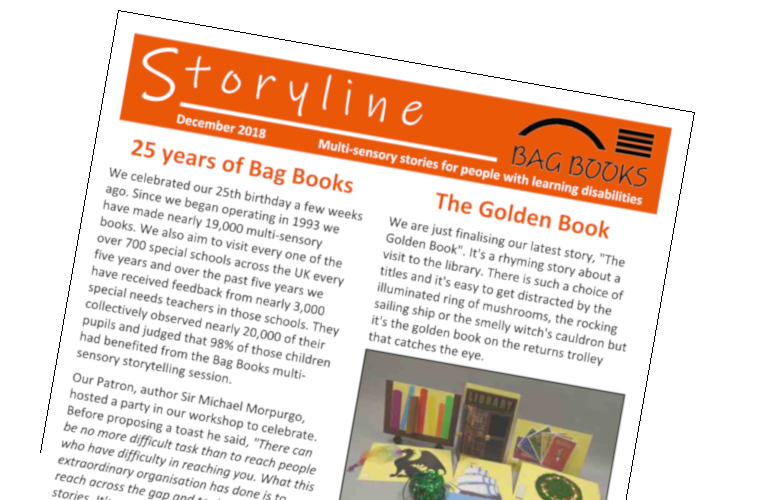 Storyline Newsletters - Bag Books provides multi-sensory books and storytelling for people with severe or profound and multiple learning disabilities. Storyline is our newsletter; usually published twice a year, bringing you all the latest news and ways in which you can help. If you have any suggestions, or if you would like us to send you a copy, e-mail: Dean Casswell. It's also available as an e-News subscription - sign up using the subscription form at the bottom of this page. Usually two issues per year.